We recently had the pleasure of a visit from Jamie, a food and travel blogger and founder of ‘Explore With Ed’. Following his trip, we asked Jamie what he enjoyed most about his stay. And the result? 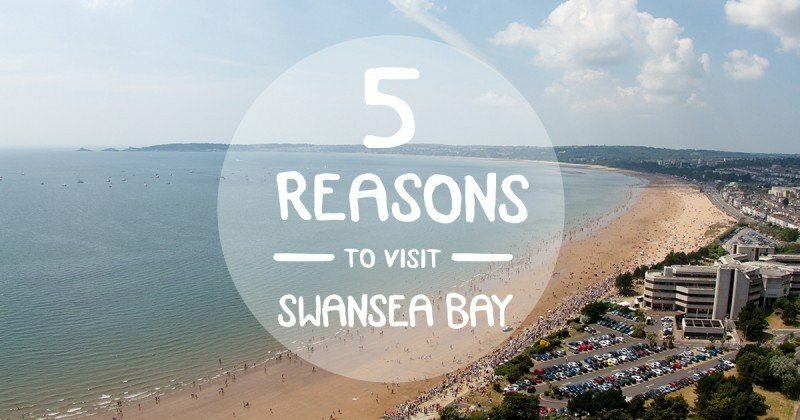 This great round up of the top five reasons to visit Swansea Bay! 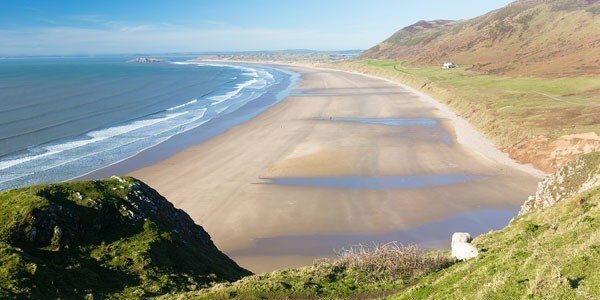 Named Wales’ best beach and Britain’s fourth best beach by TripAdvisor, Rhossili Bay is simply sublime. It’s difficult to do this place justice in pictures and words, its vast size and breath taking beauty must be seen and experienced in person from the hillside before descending onto the miles of sandy beach below. On a clear day you can see right across to Pembrokeshire and take some fantastic landscape shots of natural wonders like Worm’s Head. Love hiking? 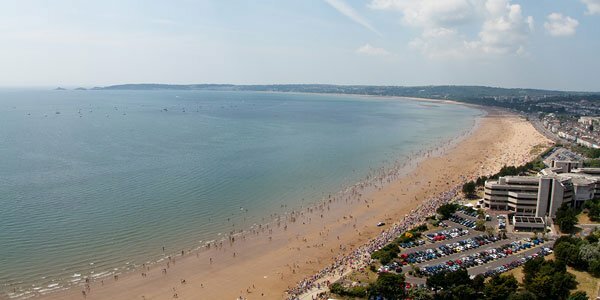 There’s an array of coastal walks and nature trails to follow around Swansea, such as the scenic self-guided tour from Langland to Caswell Bay. You’ll likely spot surfers catching a wave from the many beaches along Gower’s coastline, so if you’re raring to give it a try yourself the LC Swansea is a must for us newbies. The indoor leisure centre is full of adventurous fun for all ages with a climbing wall, soft play, gym and large waterpark that includes a flow rider. I was lucky enough to enjoy a twenty minute private lesson on this roaring wave machine and (surprisingly) picked it up quite quickly under the guide of an instructor. 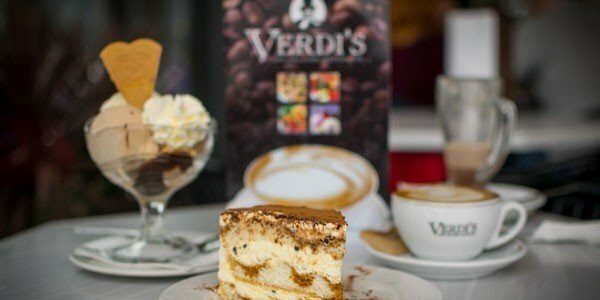 I love the café culture in the charming Mumbles region of Swansea, particularly Verdi’s which sits right on the coast overlooking Swansea Bay. The family-run restaurant was the perfect place to begin my journey through food in Swansea Bay with delightful Italian cuisine including pasta, paninis and gelato. You’ll also find unique gems here like “Tronchetto” (pictured above), a creamy semi-freddo dessert with Alchermes liqueur. In the centre of Swansea is the Grape & Olive at the top of the tallest building in Wales where I concluded my taste adventure. 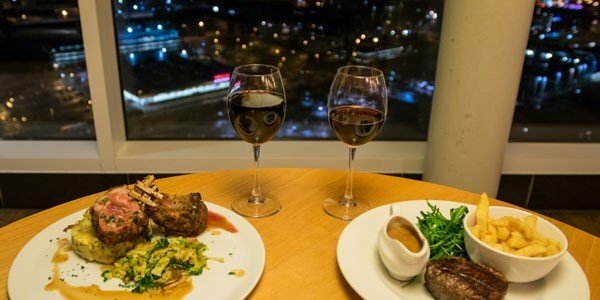 Here I enjoyed trying their A La Carte evening menu that uses locally sourced ingredients like Celtic Pride fillet beef, while marvelling at the unrivalled views over the city. After a day of active adventure it’s nice to know you’re in good hands when it comes to rest and relaxation. 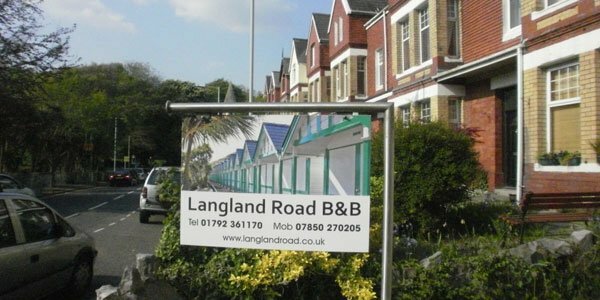 Swansea was named as one of the friendliest places in the UK – no surprise after my stay in Langland where we genuinely enjoyed getting to know the owners of our B&B. I usually stay in hotels but really liked the personal experience we received, I felt at home in no time! 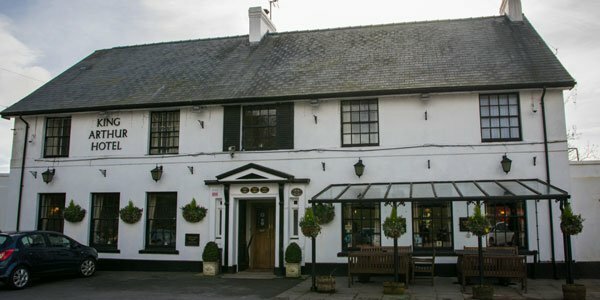 Similarly our pub lunch at The King Arthur Hotel was made even more memorable by the welcoming sight of the stoked wood burners and cheerful staff.